The Advanced Visual Training is the perfect complement to our written manuals and apparatus training program. Refine your knowledge of the exercises, develop new and more efficient cues, and learn how to take your client to the next level with efficient flow and transitions from one exercise to the next. 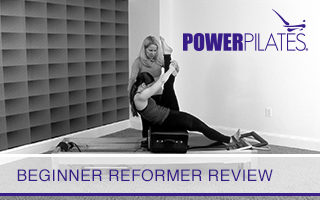 The Reformer is the backbone of the Pilates method; it is the most widely utilized apparatus. The advanced workout is both challenging and inspiring and offers many variations of the traditional exercises that are often "left in the closet." Let's hang like a Monkey. Let's build Towers. Let's drive like mad truckers! Come checkout this workshop and devise a Tower class/session using Intermediate and Advanced material that is both traditional and fun! You will not only review/learn the exercises but also apply cues to deepen the movement, as well as learn/review the specific teaching format best suited for this class. This workshop is designed for those that would like to refresh the exercises on the Barrels. We will review basic and advanced exercises on the Small Barrel, Spine Corrector and Ladder Barrel. Besides showing the details of the Technique, we will go over progressions, similarities, modifications and variations for each exercise. Roll out the Barrels to center stage! In this workshop, you will explore cueing of the full Powerhouse through verbal and touch cues, as well as how to cue appropriate to the beginner, intermediate, and advanced level client. Touch is a gift from the teacher to the client; learn when and when not to give. The movement is just the beginning; the work happens when you go "vertical" with your teaching and deepen the clients' experience of correcting their movement through action. 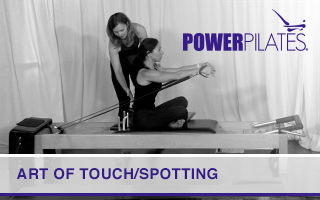 This workshop will focus on the Power Pilates Teaching Components of Touch and Spotting. Types of touch, how, and where to touch, will be discussed and demonstrated on a variety of apparatus from the Beginner to Advanced level. We will also review what Spotting entails and how best to spot your clients during their sessions. We guarantee you will leave wanting to apply more touch and spotting to your classes and sessions! 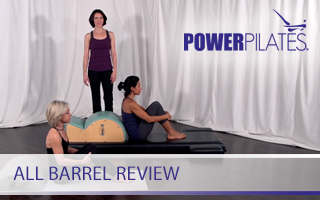 Joseph Pilates created a beautiful piece of equipment that is often overlooked: the Barrel. In this workshop we talk of the progression of barrel depth using small barrel, spine corrector and ladder barrel; level progression from beginner through advanced exercises; and horizontal to vertical progression. 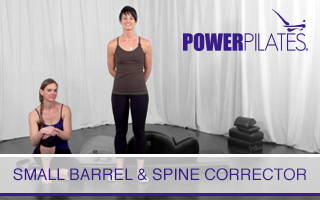 Let's learn more about how the barrels open the hips and shoulder girdle and let out clients experience the wonderful work on the barrel! Basics of Anatomy is a study of basic anatomical language, including an introduction to planes of movement and major concepts of the skeletal and muscular systems. This is a study of basic anatomical language, which contains an introduction to planes of movement and major concepts of the skeletal and muscular systems. This interactive course allows the participant to locate muscles and bones, be able to palpate them on their clients, and become familiar with the associated actions. Similar to an in-person workshop, the concepts are demonstrated as they are introduced, since reinforcement and repetition are key to learning anatomy basics! The course includes an outline, literature, and clearly labeled anatomical charts. 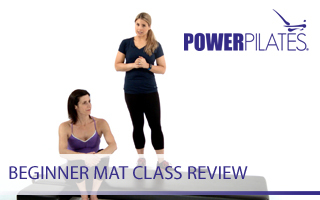 This workshop is a strong review of the beginner teaching formula to brush up on the foundational mat exercises. We will work on drills and give you more tools to increase your expertise with the Beginner Mat and also how to begin to layer in a few of the Intermediate Mat exercises. This workshop will be helpful for those teaching mat as well as apparatus sessions. 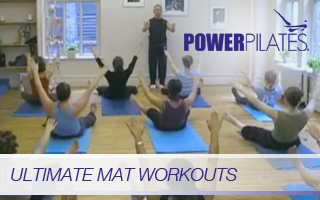 This workshop will focus on reviewing the Beginner Mat exercises and variations. We will work on drills and give you more tools to increase your expertise with the Beginner Mat. Additional tips for teachers covering the apparatus used, the Teaching Formula for Beginner clients, and the teaching component "Touch". This workshop is helpful for those teaching mat classes already. The Beginner System is the cornerstone of classical Pilates. Every student of the method, regardless of previous fitness experience, will start with the Beginner System. 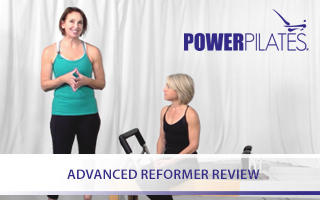 Beginner Reformer Review is broken down into two parts. The first part is a review of the exercises in Beginner Reformer and the second part will be a fluid Beginner Reformer workout. Use the first section to review technique as well as queuing and the second section to experience the flow of a workout taught by using the Beginner System formula. This Beginner/Intermediate Visual Training is the perfect complement to our written manuals and apparatus training programs. In this workshop we will go beyond just learning terminology. We will drive into neutral pelvis and neutral spine. We will spend time not only defining both but also learning how to use this ideal placement with our clients. How do we cue it and how do we know they "got it." We will also explore common misconceptions clients have about properly using their abdominals and buttocks. All of these concepts build a more complete understanding of the set of correct actions that make up "moving from your powerhouse." 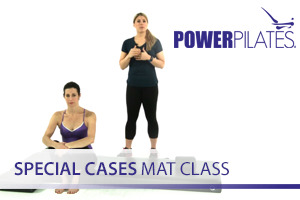 If you are certified in mat only and would like to understand the benefits of the apparatus or if you are a studio owner who is trying to get mat students into the apparatus room, this is the workshop for you! During this workshop you will learn about each of Joe's inventions, why and when they were created and what the purpose of each one is. You will see how the use of springs helps the student become stronger and put the spring in their powerhouse enabling them to perform a better mat. EXCLUSIVE FOOTAGE OF BOB LIEKENS! Come join Bob as he reviews the advanced system on the Reformer and unlocks those many variations of the traditional exercises that are often "left in the closet." EXCLUSIVE FOOTAGE OF BOB LIEKENS! Join Bob as he takes you through the progressions from the small Barrel up to the Ladder Barrel. EXCLUSIVE FOOTAGE OF BOB LIEKENS! Come prepared to move and experience the teachings of Bob Liekens with Advanced Reformer and Advanced Reformer On The Mat. EXCLUSIVE FOOTAGE OF BOB LIEKENS! Come prepared to move and experience the teachings of Bob Liekens with Advanced Mat, Open Mat and Advanced Mat with Magic Circle. 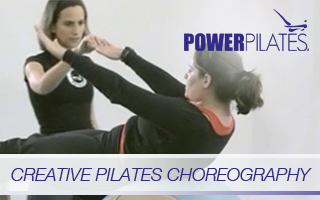 This workshop is a Power Pilates Continuing Education course that will incorporate classical Pilates exercises from three pieces of apparatus (Chair, Mat & Barrels) in a fun and creative way. This course will help create a challenging session for your Intermediate to Advanced clients. This pre-recorded live mentorship workshop dives head first into your mat training. Come learn how to get creative with your teaching but maintain your classical roots. Figure out the differences between a modification versus a variation. Explore ways to challenge multiple levels simultaneously as well as handling those weaker individuals in your class. Come Dig Deep and find the answers to many more aspects of your mat education. 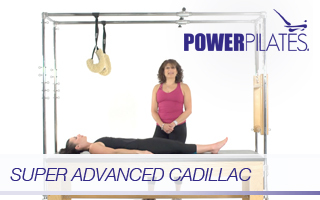 This bundle includes Jumpboard and Super Advanced Reformer videos. 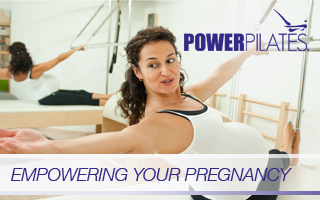 This workshop addresses the anatomical changes that occur during pregnancy. Such changes necessitate a restructuring to both Pilates mat and apparatus work. Joseph Pilates created his equipment in an attempt to help open, align and challenge the body. As familiar as we are are with the mat, Reformer and Cadillac; we often under utilize or even forget about his smaller creations. During this workshop you will learn how to use the Foot Corrector, Toe Corrector, Magic Square, Bean Bag, Breath-a-Cizer, Pedi-Pole as well as the Jumpboard created by NASA. This pre-recorded live mentorship workshop talks about the refinement of how to work into the Powerhouse from the extremities and focus on all Powerhouse cues. Learn how to choose an effective "C" module to individualize and maximize your clients' sessions. We will explore ways to properly assess which apparatus and exercises will best accommodate a clients specific work on the four S's; strength, stretch, stamina and stability. Advanced clients don't always have to do the advanced reformer or mat work to be challenged at their level. This is a matter of vocabulary. This workshop will help you return to the Beginner system, to challenge a client with the clarity of anatomically stabilizing cues. We will revisit all of the bio-mechanical concepts and how to apply them to the basic workout! During this workshop you will learn the methodology behind creating a full session on the Wunda Chair. This workout is suitable for advanced clients only. The Intermediate Visual Training is the perfect complement to our written manuals and apparatus training program. 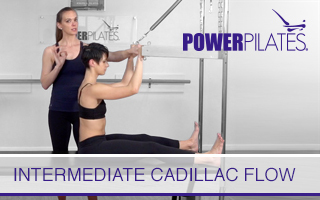 Learn how to custom design a challenging and enjoyable Cadillac routine incorporating key elements and principles of a Power Pilates session. 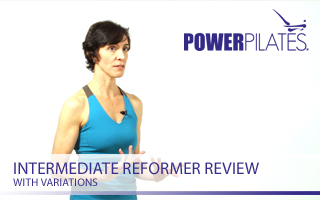 In this workshop we not only review the Intermediate Reformer exercises in details, we also go over how to deepen and challenge the work by adding great variations to all exercises as well as adding the Magic Circle in for a few. 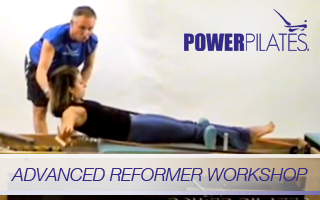 This workshops helps progress your intermediate clients to the advanced level, and it is also a perfect tool to challenge your advanced clients with the Intermediate Reformer. 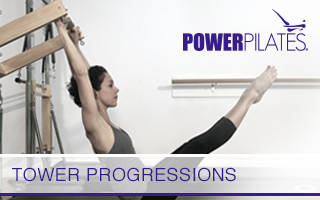 Power up your Intermediate level Tower class with a workout in 3 parts. We will incorporate repertoire from mat, tower and traditional endings. This class will follow the Intermediate system formula and work the progression from horizontal to vertical. 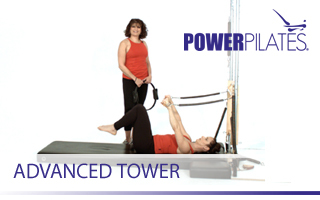 Your clients will use all components of the tower apparatus for a fun and challenging workout! 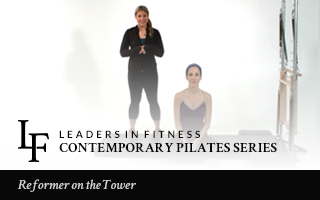 Learn how to introduce Tower and/or a Tower class to your clients. 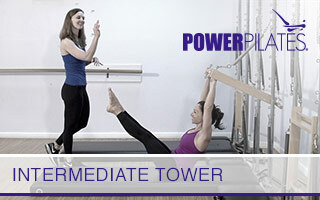 We will review both Beginner Mat and Wall Unit exercises appropriate for a Beginner level Tower class. You will learn how to organize a beginner level tower class as well as how to make it fun, challenging and safe for all participants. This workshop demonstrates how to incorporate the Jumpboard into your client's private and semi-private sessions. Learn the best clients to target, apparatus setup and exercises for both dancers and non-dancers alike on this fun and challenging apparatus. Let's jump to it! 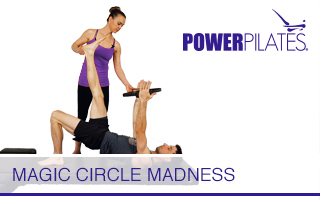 This workshop will focus on Joseph Pilates' Magic Circle and how to incorporate it into his traditional mat workouts at every level. There will be a review of technique and teaching formulas which will provide an excellent workout. Learn new ways of utilizing the Magic Circle while increasing efficient, flowing movement. 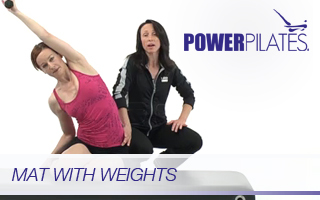 Add variety to your Mat class by utilizing weights to assist, enhance and challenge movement within each Mat exercise. This workshop covers the mat order utilizing the Wunda Chair focusing on taking it a step further whether on the apparatus or mat creating even more of a challenge! This workshop will focus on Joseph Pilates' Magic Circle and how to incorporate it into his traditional Mat workouts at every level. There will be a review of technique and teaching formulas that will provide an excellent workout. Learn new ways of utilizing the Magic Circle while increasing efficient flowing movement. You will have fun and get a good workout! Get those brand new clients off the ground and running! This pre-recorded live mentorship workshop talks about many topics pertaining to those new clients. Those "how to handle" moments ranging from a newcomer that says they have prior experience, an open level mat class with a brand new person with some physical issues, benefits to a Beginner Mat versus an Open Mat and many more. "You are only as old as your spine is flexible." We will discuss some common injuries, weaknesses, and limitations of our older clientele as well as learn how to challenge and progress them while playing it safe and still having fun. This mock 100 hour practical is perfect for anyone preparing for their Beginner comprehensive exam or even for those wishing to firm up on the Beginner systems lesson. This mock 300 hour practical is perfect for anyone preparing for their intermediate comprehensive exam or even for those wishing to firm up on the intermediate systems lesson. The focus here is on precision, timing, rhythm, progression and intermediate cues. Due to filming constraints the Cadillac was not available for the ending (our preference for the 300 hour exam), however you will see how the progression of "C" into "D" works beautifully here. During this mock practical you will see the importance of rhythm, transitions, spotting and advance cuing work to keep the body in motion and create a dynamic advanced workout. This is a great video for anyone preparing for their 400 hour exam or just looking to enhance their advanced teaching skills. Note: there are two versions of an advanced workout - each version is different from the other and follows the two Power Pilates 400 hour practical options. This mock 600 hour practical exam demonstrates where the art of teaching is displayed to teach two different levels of clients simultaneously. Specific teaching formulas are explained and utilized as the clients level, in addition to the specific exercises that are taught at each level. This will give you a solid example to study from, however, it is not a complete session. 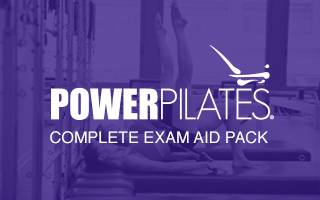 This pack includes all four exam study aids to help guide you in the successful completion of the Power Pilates Comprehensive program. Begin with the 100 hour to firm up your Beginner System knowledge and feel confident going into your first exam. Then move into the 300 and 400 hour mock practicals as you make your way through the Intermediate and Advanced systems. The 600hr exam study aid shows where the art of teaching is displayed to teach two different levels of clients simultaneously. 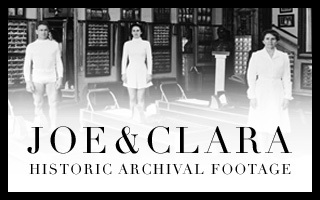 Experience the beauty of classical Pilates from the original source. 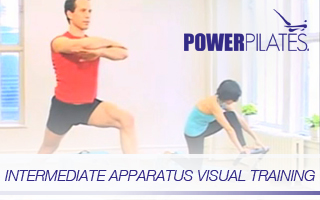 Our exclusive Joseph Pilates footage shows the vigor and flow of his method. 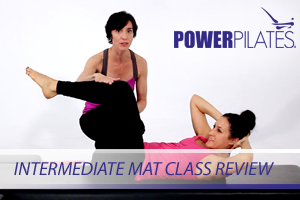 A must for every Pilates instructor! NOTE: This is a silent video. We will review what the Powerhouse is really all about. It's different actions in their logical progressions. 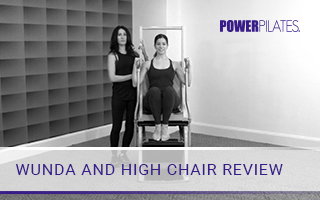 This workshop, instead of concentrating on the work on the Reformer or Mat, will explore how the same Powerhouse actions apply equally to the vocabulary of the Wunda Chair. This workshop will help instructors work more effectively with a growing client base, male clients. Common patterns of muscular imbalance and weakness among men will be addressed, as well as specific ways to improve them. You will also learn techniques that will assist men in integrating key concepts of strength, stability, stretch and stamina into a well-balanced and challenging workout. Create a new challenge for your more advanced classes! This workshop will review the Reformer order, exercise details and their application to the mat. No springs, no straps, just you and gravity. The breakdown of the Setup/Action/Precision of the exercises help achieve greater clarity and will add depth to the cueing. The chair is one of the most challenging pieces of equipment as it has a smaller base of support which is conducive to learning balance and control. 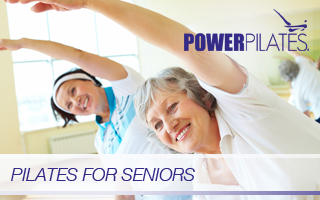 The exercises reviewed here are great tools to helping clients progress by addressing their individual needs. Nobody's perfect, right? Right! 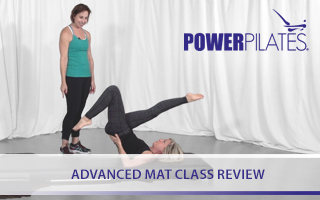 This class will cover the beginner/intermediate mat exercises with safe and effective strategies and modifications for clients with special needs. We will review specific modifications for low back pain, knee injuries, shoulder pain, neck issues, osteoporosis and pregnancy. 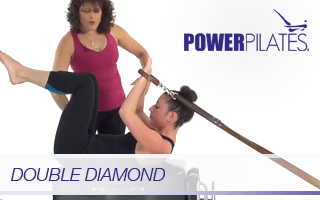 Be ready to learn and have some new tools for your Power Pilates toolkit! The Spine Corrector is that often-forgotten and hardly-ever-used piece of apparatus that spends most of its days sitting on the floor under the Cadillac. This mat-based workout takes the classical Spine Corrector exercises you know and love, and adds more creative exercises borrowing from the Reformer. Develop a method to the madness! Teaching semi-privates sessions can be fun and profitable, but you just need a game plan. Take this workshop and help devise a strategy or strategies that will help you feel at ease, organized and in control when teaching a semi-private session, all the while offering each individual client a sufficient workout. All levels covered; Beginner, Intermediate, and Advanced. This workshop will show you how to assess the plus-sized client, explain the side effects of obesity and how to safely introduce Pilates to an overweight/obese person. We will demonstrate how to build up the basic exercises on Mat, Reformer, Cadillac and Chair, with the goal to get this population moving and to get them back into their bodies. In this workshop you will learn the exercises you rarely see or get to teach. Be prepared for some fun and dynamic material to come your way! We all know that there are more than the advanced level exercises that we practice and teach. This course will be looking at the next steps for many reformer exercises and advanced variations. In this workshop, will we review the teaching tools and teaching formulas needed when teaching an Open Level Mat Class. Learn how to simultaneously lay a strong foundation for your beginners in the class, while challenging your more advanced clientele. Be prepared to learn many helpful variations that can be used when faced with a multiple-level class. 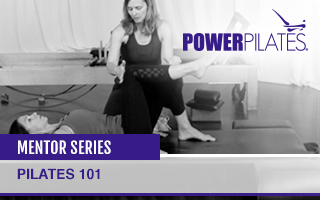 This workshop guides you in growing your clients safely and effectively from beginner to advanced with the Pilates Tower unit. The workshop reviews technique and teaching formulas, demonstrates progression of exercises and concludes with a full Tower class delivered to an intermediate/advanced level. This class example ties everything together in a practical application of the workshop material.